NEW YORK (Forex News Now) – The euro received some positive forex trading news today with the release of September’s Economic and Monetary Union (EMU) euro zone trade balance report. Eurostat, the European Union’s statistic information bureau, released figures for the EU’s trade balance that showed the balance returning to a surplus for the first time in four months. 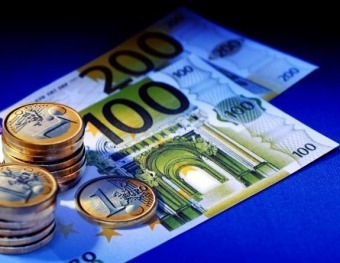 The total balance came in at +2.4 billion euros, up considerably from August’s -1.7 billion euro deficit – a net gain of 4.1 billion euros. Exports rose by 0.6%, while imports fell 2.5% to 129.8 billion euros. Analysts predict that export gains will continue throughout the near term, perhaps through the next quarter, based on stronger foreign demand – especially for investment goods. This increase in demand was witnessed in the EU’s five largest economies, plus Ireland, even though Greek export orders fell. The monthly trade balance figure is the highest mark in seven months, and comes as welcome relief to euro investors in search of positive forex trading news following a week of declines against major trading partners. This could be the mark of a new trend, with an increasingly-positive outlook from European manufacturers for the fourth quarter. Rainer Bruederle, the German Economics Minister, disagreed, stating that “our array of products is not so sensitive to foreign exchange rates” and is insulated from the effects a strong currency can have on export-driven economies, such as Japan. Currency market trading reports for the euro today, though, have temporarily allayed this fear. So far in trading today, the euro has fallen 0.73% against the dollar, to 1.3608, after a solid week of declines against the currency. The euro has also fallen 0.19% against the pound, dropping to 0.8471. Overall, the euro remains up 6% on the dollar since September, and is up almost 3% over the same period. It will be interesting to see if the euro can sustain momentum above the 1.40 barrier – and if it does, what effect that will have on the EU economy and future export levels.